Gung-Ho's black weapons tree included a shotgun, a machine gun, a rifle, a machete, two missiles and a figure stand. 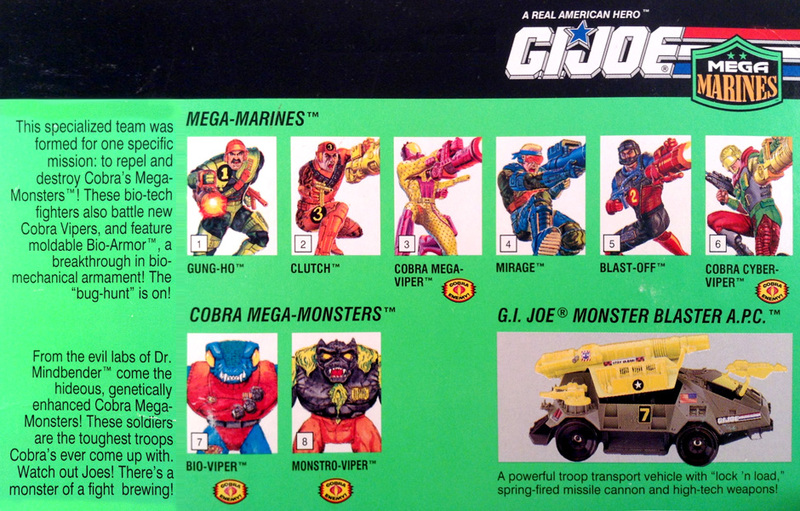 All six Mega Marines also came with moldable Bio-Armor, an armor mold and a missile launcher. Gung-Ho included a helmet as well.